Vitality Extracts has many diffuser bracelets with stones that are meant to calm you. Calming Lava Stone Diffuser Bracelet—the White Howlite stone is extremely popular as a calming stone to help calm an overactive mind and relieve stress. Sacred Arrow Diffuser Bracelet—Hematite grounds and protects us, bringing feelings of safety and security. It focuses energy and emotions for balance between the body, mind, and spirit. White Howlite Lava Stone Diffuser Bracelet—Howlite helps relieve anxiety and stress of all kinds. Stress Relief Essential Oil Blend helps balance stress and anxiety, reduce nervous tension, and induce relaxation. It’s a mixture of Bergamot, Sweet Orange, Ylang ylang, Pink grapefruit, and Patchouli. Calm Blend relaxes the body and mind, calming the nerves and reducing stress and anxiety. It contains Mandarin Oil, Lavender Oil, Tangerine Oil, and German Chamomile Oil. Inner Peace Essential Oil combines Clove Leaf, Pink Grapefruit, Mandarin, Lavandin, Bergamot, and Lemon. It increases mental agility, as well as reducing stress and anxiety. Make and add a stress balloon to your stress relief kit. It’s a fun way to calm down. In a bowl, combine 1/3 cup of Epsom salt and 4 drops of your choice (see suggestions above) of essential oils. Next, take a funnel and put it in the opening of a latex balloon. Pour the mixture into the balloon, getting all of the salt out of the neck of balloon before tying the top. Squeeze it whenever you’re feeling frazzled. Looking at pictures can bring a smile to your face and warmth to your heart. For your stress relief kit, add a photo of you on your favorite beach or you and your partner on a fun outing, your kids, your pet—whatever makes you feel good. If possible, do some type of physical exercise to let go of overwhelm. Even a short around-the-block walk can do worlds of good. These are a few ideas for your DIY stress relief kit. You’ll probably have some of your own—maybe an item you treasure or a favorite affirmation—whatever brings peace and serenity to you. Get Started On Your Very Own Stress Kit Now! I love my white, howlite lava stone bracelet along with my migraine essential oil – I will have to try the stress relief oil. I really love all the suggests on what and when to use the oils. I can’t tell you how much the Inner Peace Oil has helped me. I recently went through a horrible break up and felt sad all the time. When I use the Inner Peace Oil on my bracelet it helps me feel so much better. Thank you for making such a great product. I truly will never stop using it. I have 2 diffuse bracelets and Inner Peace oil. I just do not know how to use them. How do I apply the oil? How long do I wear the bracelet? I’m sure there is an explanation somewhere on your Website, I’m just not very website savvy. You have a couple ways you can use Inner Peace Oil Blend. You can mix a drop of Inner Peace with a carrier oil of your choice, apply to desired area on your skin- or simply take a whiff straight from the bottle! 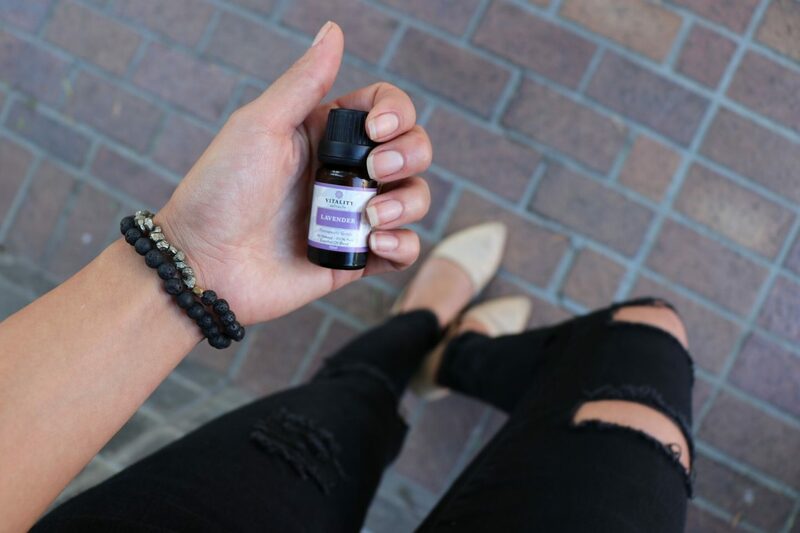 When it comes to Diffuser Jewelry application, you can use 1-2 drops of Inner Peace onto your diffuser bracelet (the lava stones), and the scent will last up to 24 hours- so you can wear the bracelet as long as you need it!